It’s the second time this week a noose has been discovered on the grounds of a Smithsonian museum. 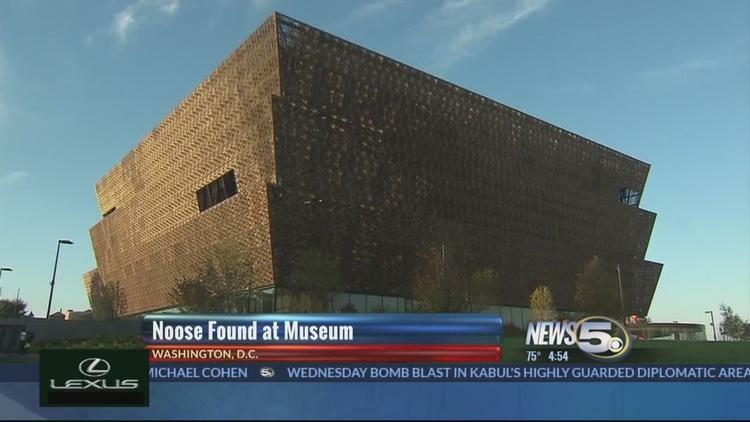 A noose was found on Wednesday in an exhibition on segregation at the National Museum of African American History and Culture in Washington, D.C., Smithsonian Institution officials said. The exhibit gallery at the museum was partially closed for about three hours and the U.S. Park Police was investigating the incident. In the U.S. context, the noose is meant to represent the dark history of lynchings of African Americans that took place primarily from the 1860s to the 1960s. Recently, nooses have been found across the country, from a middle school in Maryland to the Port of Oakland in California. The National Museum of African American History and Culture is part of the Smithsonian, which includes 19 museums, including the Hirshhorn and galleries and the National Zoological Park. It is the only national museum in the U.S. devoted exclusively to addressing African American life, history and culture. Former President Barack Obama said at a dedication ceremony in September 2016 that the facility tells the story of Black U.S. and “helps to tell a richer and fuller story of who we are.” This incident came four days after a noose was found hanging from a tree outside the Hirshhorn museum in Washington, D.C. According to the Southern Poverty Law Center, more than 1,300 hate incidents, including anti-immigrant and anti-Black, were reported between November 2016 and February 2017.